Hi everyone and welcome to my insurance website. 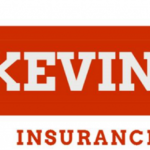 My name is Kevin Boland and I’m a local Farmers insurance agent based out of Novato California. For the past 15 years I have managed Garage Auto Repair insurance for over 200 San Francisco Bay Area Garage Business owners. I like working with garage owners because, like me, you work hard and support your families and your local community. When I talk about garage insurance I mean automotive and auto body, I mean transmission and muffler shops, audio installation, glass shops, air conditioning shops as well as detail. Every three years I recommend you do a complete inventory of all of your business equipment to determine the value of it. Start with the high-end items then work down because that’ll make it easier for you. Let’s begin with your Mac and your snap-on tools, your lifts, your air compressor, your air guns and air hoses, your alignment machine, your smog machine, your engine analyzer. If you’re an auto body repair shop owner of course your paint booth, your paint guns and inventory. If you’re an exhaust shop owner then your exhaust pipe benders and don’t forget the parts washer or the AC re-charger. Of course it’s always important to remember that if you do anything custom, like building a really nice counter-top for your customers to see, that’s typically not covered after a major fire with the lease and the landlord. Similarly also don’t forget your front office furniture and equipment. So why is this a very smart thing to do? Why can’t you just depend on your insurance guy or gal to do it? Well here’s why. I spend two days a week in garage shops because it’s my specialty and I know for a fact that over 90% of garage owners today or either over insured or under-insured. Only about 10% are accurately insured! So if you’re under-insured that means you’re at risk every day for a fire and then having to go to your credit union to get a loan because when you get that little insurance check it’s not enough to get you back up and running again. This could set you back years financially and if you’re over insured then you’re giving away two hundred to a thousand dollars a year to your insurance company and trust me your insurance companies already have enough of your money. So you want to make sure you do this inventory on a regular basis and this way you know that you’re accurately insured, you’re saving money or you have the right coverage or both. And don’t forget employee tools this is also a very expensive item as you know in your garage. So that is my Auto Repair Garage Liability Insurance tip for today, if anybody has any questions, give me a call or shoot us an email and of course if ever you want to get a bid on your garage liability, your workers comp or open enrollment for your health insurance (we’re appointed with Kaiser and Anthem Blue Cross) then shoot us an e-mail or give us a call. I hope today’s garage insurance tip helps you down the road. Hi Kevin, I think you are doing a great job serving your customer and promoting your business. Thanks Andy for taking a minute to watch my Garage Video blog! See you at the Cilff House.